Businesses are increasingly looking to renewable energy solutions, such as solar, to fulfil their energy requirements. With such a large amount of electricity produced during the day, many are investing in solar PV battery storage to better manage their consumption. Custom Solar specialises in the installation of solar PV battery storage systems and has already supplied a variety of models to businesses across the UK. What is commercial battery storage? At its core, a solar PV battery allows businesses to take advantage of electricity produced by the solar installed on-site, in addition to receiving benefits for a number of grid balancing initiatives. Why invest in commercial solar PV battery storage? Battery storage helps to reduce or avoid tariffs and charges and ensures you’re making the most of all the benefits that are listed below and could be available to your business. Making the leap into solar energy for your business is an important step, and one that many forward-thinking businesses are taking. This is particularly important for businesses with a 24-hour operation. By reducing peak transmission volume, you can reduce network distribution charges and make significant savings. If you are an extremely large energy user during the red band period, you may be familiar with triad fees. By reducing DUoS (Distribution Use of System) charges you will also be less likely to be hit with triad fees. You can utilise your battery as a source of energy during late afternoon and early evening (red band) periods to avoid red band charges. This is dependent on the operation and system needs, and our engineers will correctly size a suitable battery, ensuring you can make the most of this demand shift. Depending on your battery operator strategy, you may see the benefit in charging your battery with excess solar generation, rather than exporting the same energy to the grid at the export rate. This approach would forego the export tariff during periods where energy is more expensive, therefore leading to a saving. Similarly, you can buy and sell excess energy from the grid via a number of ‘frequency response’ mechanisms, which our consultants can discuss with you. By having a solar battery supporting your solar installation, you can avoid any dips or spikes in generation and usage. During periods of lower consumption the battery will store excess electricity, ensuring that when demand spikes, you’ll be able to supply uninterrupted power. Above all, investing in a solar PV battery solution will help make the most of your solar installation, whilst also offering cost-saving benefits and avoiding unwanted charges and tariffs. Talk to an expert by contacting us today. 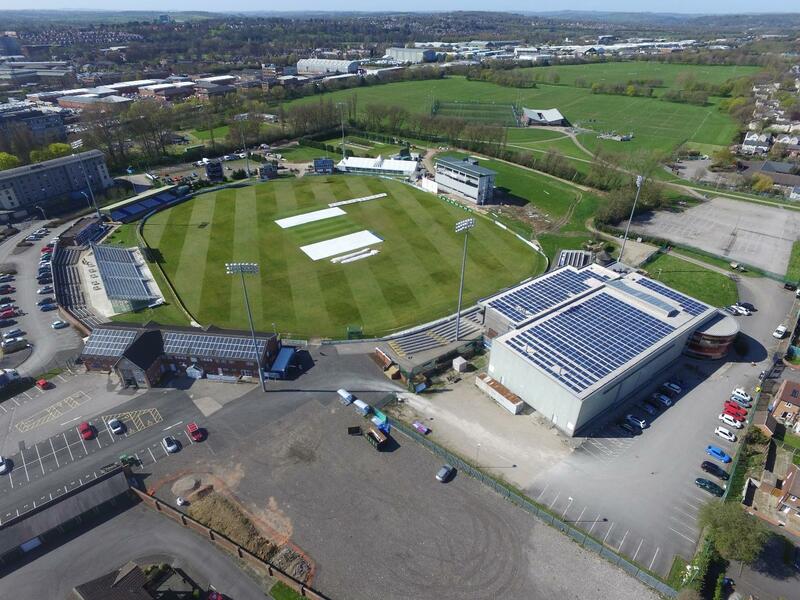 The solar PV system at the 3aaa County ground has allowed DCCC to reduce their overheads to concentrate on their expertise of world-class cricket. The ground now hosts a multitude of events throughout the year with a major portion of their electrical demand coming from self-generation.